Australian Army helicopters will be seen flying over the Gold Coast and Brisbane as the Australian Defence Force lends its assistance to the 2018 Commonwealth Games. 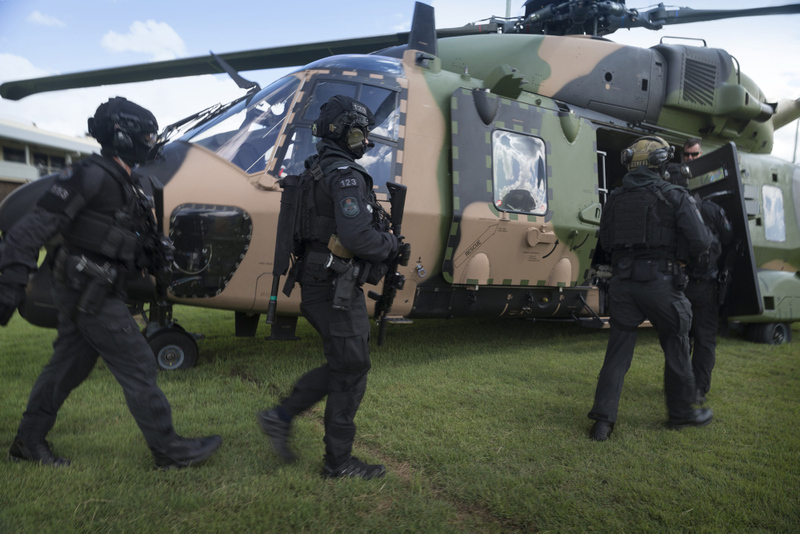 Army helicopters will provide Queensland Police and partner organisations with additional flexibility and agility to respond to a range of security situations. The Commander of the ADF’s support to the Games, Major General Paul McLachlan, said locals and visitors can expect to see Army helicopters flying over the Gold Coast in the lead-up to, and during, the Games. “Army helicopters will be flying during the day and night starting with familiarisation training before the Games commence. The rehearsals will help minimise the impact to the public should the Army be called on to support the Queensland Police response to an incident during the Games,” MAJGEN McLachlan said. In addition to air support, Australian Army engineers will be searching official venues, the Games village, and vehicles at designated checkpoints, while Navy Clearance Divers will be conducting sub-surface searches of key locations on the Gold Coast waterways. Head of Queensland Police Service Commonwealth Games Group, Assistant Commissioner Peter Crawford said the ADF is an important partner to plan and deliver security and ensure the public’s safety for the Games. “Queensland Police, in partnership with the Gold Coast Commonwealth Games Corporation, has been working with key security partners, local councils and communities to prepare for the event,” Assistant Commissioner Crawford said. The Gold Coast 2018 Commonwealth Games will be the largest event staged in Australia in a decade with more than 6,600 athletes and team officials from 70 nations and territories competing over 11 days.